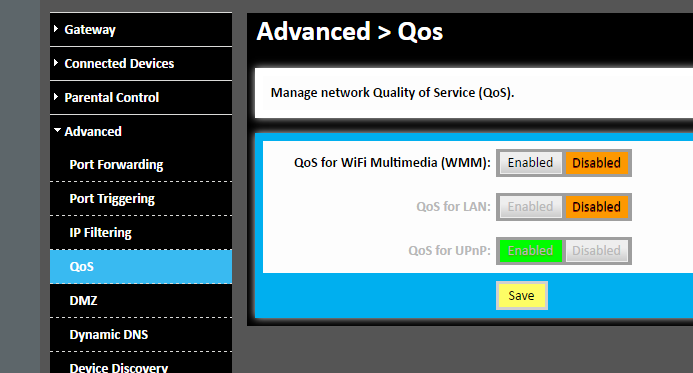 You have to go into settings and disable WMM, Wi-Fi Multimedia Functionality. Apparently this causes a conflict with the device. Time Warner said this was a google problem, and google said it was a Time Warner problem. Its a little of both. Default modem/router settings have WMM Enabled, along with a lot of other things that don't need to be enabled or should be reconfigured within that router. The reason I say it is both is because if it is a case of just the WMM function, then Google could possibly have found a way around that so other users don't suffer the same issue in the future. Honestly, you should be using your own router anyway. Combo devices are subpar at best.